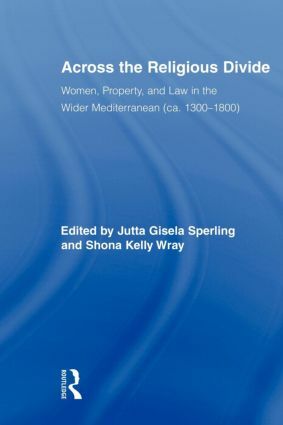 Examining women's property rights in different societies across the entire medieval and early modern Mediterranean, this volume introduces a unique comparative perspective to the complexities of gender relations in Muslim, Jewish, and Christian communities. Through individual case studies based on urban and rural, elite and non-elite, religious and secular communities, Across the Religious Divide presents the only nuanced history of the region that incorporates peripheral areas such as Portugal, the Aegean Islands, Dalmatia, and Albania into the central narrative. By bridging the present-day notional and cultural divide between Muslim and Judeo-Christian worlds with geographical and thematic coherence, this collection of essays by top international scholars focuses on women in courts of law and sources such as notarial records, testaments, legal commentaries, and administrative records to offer the most advanced research and illuminate real connections across boundaries of gender, religion, and culture.